In 2015 we celebrated 75 successful years in business. In effort to show our gratitude within the communities we serve, we took on a goal to accomplish 75 Acts of Kindness. We accomplished that goal and so much more. It was exciting to see our teams give back to their communities. We benefited on so many levels including socially, spiritually, psychologically and physically. Because of that success and the fulfillment we each achieved personally, we continue on this path for 2016 and beyond. We have a unified goal of giving back to our communities in which we work and reside. Across our company, our local charity interests vary from local Kiwanis Clubs to supporting fundraisers, dog shelters, literacy, giving blood, food pantries, working in shelters, YWCA and many more. 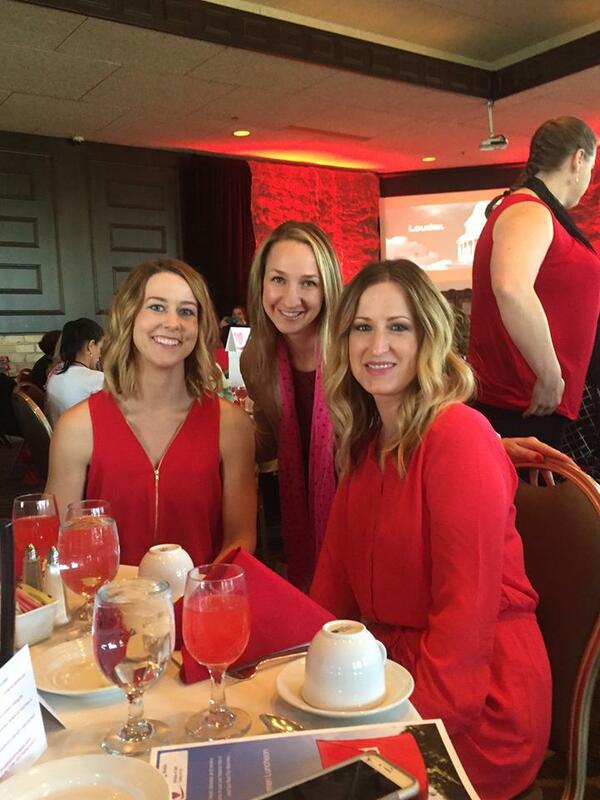 Organizations in which we actively participate in on a corporate level are Go Red for Women – AHA, Habitat for Humanity, United Way, and Wounded Warriors. We encourage all to give back. The gift of simple smile will have lasting effects on those you touch. This week we had the pleasure of visiting Omega Cabinetry in Waterloo, Iowa. Omega has been a division of MasterBrand Cabinets Inc since 2002 and sold at Gerhards since 2013 and the Kohler Signature Store by First Supply since 2015 (other MasterBrands lines sold at Gerhards and the Kohler Signature Store by First Supply include KitchenCraft, Kemper and Aristokraft). We saw up close the craftsmanship and care taken with each and every cabinet produced in Waterloo. From the careful storage and selection of the specialty hardwoods to the hand applied stains and finishes, the process of building the cabinets is fascinating. In building a project, only the same two people stain, paint and finish the entire project to ensure consistency. Each piece is hand wiped and inspected against quality standards before being sent to final assembly. And, every product is individually inspected by at least two people before being shipped. We learned that not only kitchens and bathrooms are being built daily but beautiful custom range hoods, sturdy boot benches in gorgeous stains and paints as well as custom bedside night tables. Our hosts at Omega sent us home armed with a new appreciation of the wonderful artistry being created in Waterloo everyday. We're excited to show you the fantastic displays in our stores and add an Omega custom piece to your project. Or, better yet, design your entire kitchen, bathroom, mudroom, laundry room or bedroom with the Omega line. Visit Omega's Website to learn more about their products and cabinetry features. I want to remodel but how much time will this take? When it comes to remodeling the prospect of remodeling is daunting. What to budget, Where do I begin? How long will my life be disrupted for? While most people like the idea of a new kitchen or bath, they are often beaten down with obstacles. It's a fair question to want to understand the time frame. At Gerhards, we want to take the pain out of the process by taking over those challenges. We can provide a general idea on the time frame from your first meeting with your designer to your next meal in your new kitchen. To aid in confidence of expectations, we asked Tracy Rath, Designer and Store Manager at Gerhards in Brookfield to provide a solid understanding of a question we hear often: How long will my Kitchen or Bath remodel project take? Below are the necessary steps along with a understanding of what to expect. 1. Design. That is where it all begins. The design process itself can take anywhere from a couple of days to a couple of weeks. Through open dialogue we can determine if the solution is to simply replace or create an entire new footprint. Sometimes a customer loves their current layout and simply wants to have a new up to date look. There is a lot to consider – with all the new space saving features we offer now along with the new cabinet choices there is a good possibility that an entirely new layout may be your best design. Once you determine the general design, you get to do what many consider to be the best part: Choosing your door style(s), wood specie(s), and color choice(s) for your cabinets and countertops. 2. Order and manufacturing. We handle five brands of cabinetry. Depending on what brand of cabinetry you decide to order, the manufacturing of your cabinets can take anywhere from three to six weeks. There are all sorts of paint/glaze finishes and custom paint finishes that could add a couple of extra weeks to those numbers. Once your cabinets arrive at Gerhard’s Kitchen & Bath, we will be able to ship them to your home within a couple of days. 3. Installation. Depending on the details of your project, i.e. the required demolition and size of your kitchen, your cabinetry could be installed within just a few days. Please check with your installers to confirm their schedule and time frame. After your base cabinets are set (installed) the next step is to contact us to arrange for our countertop fabricator to visit your home to measure your installed cabinets. If you are purchasing a granite, cambria, quartz, or quartzite , the typical timeline for those products take about 2-3 weeks to fabricate and install after your cabinets have been installed and the tops have been measured. If you are planning to use an under-mounted sink, make sure you have it at your home at the time of your countertop measure. Overall – the timeframe varies from project to project. As a general guideline, if you have a smaller kitchen and you order with a three week lead time, your whole project could be completed in about 6-7 weeks. If you have chosen a custom cabinet line with a custom painted finish it may take 12-14 weeks from start to finish. If you have decided to remove soffits/bulkheads and or walls, this could easily add several more weeks to your project. We are more than happy to learn about your specific project to get a better feel for expectations. Please call or stop in today so we can start your dream kitchen and or bath! Manage Your Dollars and Sense During a Home Remodeling Project. One of the best ways to keep stress at a manageable level is by working with a professional. This especially holds true when planning for a kitchen or bathroom remodel — two of the most trafficked areas of your home with the highest potential for return on investment. Working with a design professional at Gerhards can make the remodel process much smoother by avoiding budget pitfalls, schedule delays and a crushed design dream. Nowhere will professional help pay off more than in setting the budget. If you’ve never done a major remodel, you probably don’t know how much to budget for. Or, perhaps you have a budget in mind and need help knowing where to save and when to splurge. Our sales and design team will make this process much easier for you. Throughout the design and installation, they can work within your budget parameters, specify the best products and alert you of potential overages before it’s too late. We’ve all heard the old adage, “measure twice; cut once.” Knowing how to take the right measurements is imperative in a successful remodeling project. The wrong measurement can set off an unfortunate chain reaction of very costly events. Professionals are skilled in this area and will get the job done right the first time so there aren’t delays in the schedule. Once the measurements are taken, we will put the plans to paper and manage the ordering and final steps.